The UK Aerospace Research and Technology (UKART) programme, formerly known as ATI programme, is delivered by Innovate UK on behalf of the Aerospace Technology Institute (ATI) and government sponsor BEIS, to find and support the most innovative ideas to underpin the next generation of aircraft. 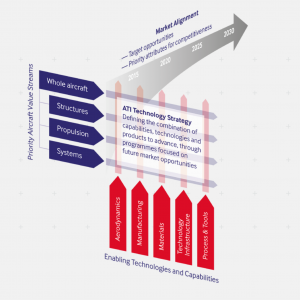 The ATI was established as a collaboration between Government and industry; to create the UK’s aerospace technology strategy, advising and challenging the sector through £3.9 billion of secured R&T investment, to ensure the UK retains its global competitive position. The Institute’s mission is to help the UK realise the opportunity available of capturing a valuable share of the growing global civil aviation market. As well as the main programme competition, which runs rolling monthly deadlines feeding grants awarded quarterly, an opportunity for early-stage collaborative feasibility studies is currently open. Our engagement with this programme also indicates that a motivation exists to transfer technologies from other technology-focused sectors such as automotive, who can play a key role in the future UK civilian aerospace supply chain. But be quick, as the information from ATI suggests that this will be the last feasibility study funding until 2020, with the majority of opportunities for intermediate-sized projects in 2019 being largely restricted to applicants who have already completed the expression-of-interest phase of live competitions. The aim of this funding competition is to support and speed up industry investment focused on supply chain companies. 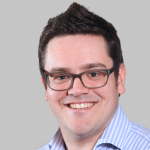 The ATI are looking for high risk, high impact projects that demonstrate visionary, revolutionary and disruptive solutions to UK aerospace challenges. Deadline for this competition is 27th February 2019.